Before beginning any waterproofing project, homeowners with leaky basements would be well advised to take note to the following misconceptions related to basement waterproofing. Please don’t assume that any of these misconceptions related to basement waterproofing is true. Failure to heed this advice will pretty much guarantee that you will be disappointed, waste time and money, and still have a wet basement. This article, Easy Repairing Method for Wet Basement Part One, is based upon the assumption that you have examined all plumbing and drainage facilities, and have determined that the problem is infiltration of groundwater. Please notice that this is a two part series. You will not resolve your problem until you have completed both parts. No matter where you live, if you have indoor plumbing, you should know these tips for preventing sewer disaster. Even a system which is correctly designed, and installed, and is in good condition can still be subject to problems. Follow these tips, and you greatly reduce the probability of a sewer disaster. When you need to waterproof your basement, you should proceed in a planned, logical sequence. The first step in successful basement waterproofing is to identify every point where water is entering the basement. 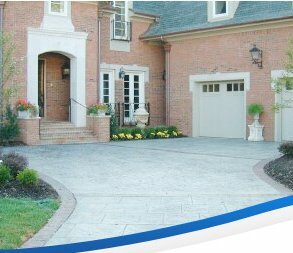 When you have identified those locations, go outside and do a careful examination of your site. Look in the vicinity of each interior leak. Your purpose is to identify the paths by which water is reaching the house. Read more: Waterproof your basement if it's wet, leaky or dry. 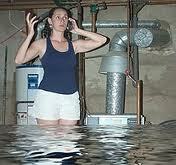 When your basement becomes damp or flooded, you should waste no time in identifying the causes for a leaky basement. It’s a natural tendency to look first at the symptoms, but to actually solve the problem, you must find the cause.